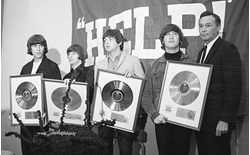 Which Beatle Was the Last to Have a Solo Album Reach No. 1?. Beatles Radio: The Beatles, Solos, Covers, Birthdays, News The Fab 4 and More!